Professional Testing Laboratory offers physical, chemical and microscopical techniques for analysis of textile fiber. 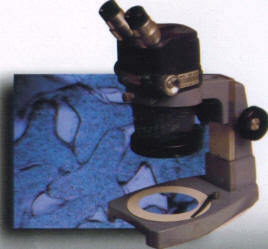 A fully equipped microscopy lab with video and photography capabilities can provide magnified cross section and longitudinal views of fibers. These are used to evaluate, identify and compare physical characteristics. Fiber melting point, solubility, tensile strength and percent elongation are also available.